In one of those horrible, disorientating moments of not realising what you’ve got until it’s gone, hearing the news of David Bowie’s passing was gut-wrenching. It was a strange day, reflecting on his music and influence. It was moving and humbling, reading and listening and watching many people, some famous, some not; some older than me, many, invariably, a lot younger all sharing wonderful, personal, human insights about The Thin White Duke and what he had meant to them. It dawned on me that: I never lit David Bowie’s Marlboro cigarette; never sang backing vocals on his albums; never walked passed him at a movie premiere; never had a walk on part in one of his films; never played his records on the radio (which would have enabled me to trawl the TV studios giving out all my views to everyone and anyone who wanted to listen to them). I never did his make up, sell a t-shirt for him, interview him or produce one of his timeless albums. I never met him, or shared a glass of wine with him, or was in any way part of his rich, varied and fabulous life. But he was a big part of mine. Bigger than perhaps I had realised. I was, and am, just a fan. But he made it feel so much more than that. Laughed at me as I air drummed to Heroes and The Man Who Sold the World. I’ve been ready to join him and Jagger dancing in the streets (the call never came, in case you were wondering). He was the sort of artist that gave you confidence and chutzpah and brio. He was the sort of artist who you’d happily camp for 24 hours or more just to get a ticket to see. I did this for his Tin Machine band in 1989. He showed us what was possible; how to make the ephemeral,permament; the frivolous, important. When I was at university I wrote a feature about Harrison Ford. I remember writing about Ford that he was the sort of actor who, as well as doing amazing films was also guilty of doing films that were dull, mediocre and uninteresting. But he was never the dull, mediocre or uninteresting thing in them. I think the same can be said for Bowie: his relentless, shape-shifting, envelope pushing of his art is unlikely to be repeated. 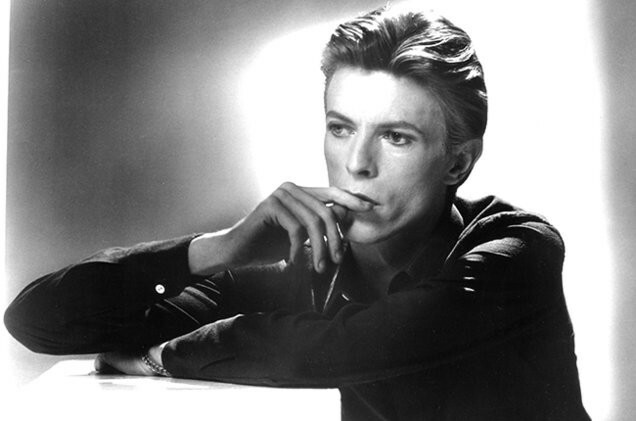 Bowie has never been dull, mediocre or uninteresting. Bowie just didn’t do dull. Dull was for other people. He made music that is full of ebulliance, sparkle and elan. Timeless, ingenious, masterly music. Music that’s in your head. Right now. Bowie gave us all permission to be what we want and say what we want. He was mine, yours, all of ours. Thank you, David. And Goodnight.